About the Author: “The Risks of Using Ketamine to Treat Depression” was written by Oasis Behavioral Health clinical team member Erica Smith, M.A., NCC. Erica has several years of experience working in the treatment field as a clinical therapist and has her Master’s degree in Clinical Counseling Psychology from the American School of Professional Psychology. Site: Oasis Behavioral Health (http://www.obhhospital.com/) is an acute psychiatric hospital and residential treatment center that is steadfast in providing the highest level of care to everyone who comes to us for help. We work with our patients to define their purpose outside of addiction, empowering them by encouraging hope, healing, and recovery. At Oasis, we know that your addiction does not define you and we want to help you discover your strengths, meet your goals, and find optimism about recovery and about your future. 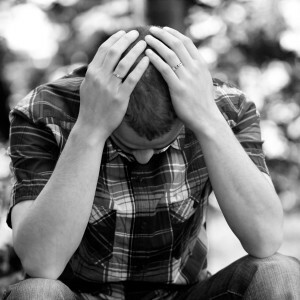 Depression is believed to affect one in ten adults in the United States. According to the Centers for Disease Control and Prevention (CDC), major depression is said to be the leading cause of disability for Americans between the ages of 15 and 44. Suffering from depression can affect nearly every aspect of a person’s life. Things such as going to work or school, interacting socially, and participating in normal, everyday activities can become seemingly impossible for someone who is suffering from severe types of depression. For these people, even getting out of bed in the morning can be extremely difficult . The most common ways in which people have historically been treated for depression is through the use of antidepressant medications and face-to-face therapies. Recently, however, there has been an emerging trend of mental health professionals using new methods of treatment for individuals who are considered to be “treatment-resistant” to the more traditional forms of therapeutic interventions. One example of this new trend in depression treatments is the use of ketamine, which is commonly used as an anesthetic for both humans and animals or abused as a party drug referred to as “Special K.” In the past, ketamine was used in conjunction with electroconvulsive therapy (ECT). ECT works by sending an electrical current throughout the brain in order to induce an epileptic fit. ECT is believed to work as a result of the change that it produces in the patterns of blood flow throughout the brain, as well as the change in the metabolism in the parts of the brain that may be affected by depression. Ketamine has been used in the past as a way to anesthetize a person before undergoing ECT. Recent studies have been conducted, however, in an attempt to show how having ketamine injected intravenously, without the added use of ECT, can have a positive impact on treating people with depression. Researchers have gone on record stating that one-third of people who had not received positive results from the standard therapeutic interventions quickly and effectively experienced mood improvement after having these ketamine infusions over a period of several weeks. Additionally, researchers are expanding their studies to determine if intranasal ketamine can produce equally rapid and effective results. One of the major concerns with the idea of using ketamine as a form of treatment is the fact that ketamine itself is an addictive substance. Experts state that the addiction is psychological in nature, meaning that people will experience severe cravings but they will not necessarily experience serious physical responses when the use of the drug stops. Regardless of whether it is psychological or physical, the dependence that a person develops on the drug will make the addiction extremely difficult to overcome. When used recreationally, ketamine induces muscle relaxation, while also producing pleasurable, psychedelic effects, causing the user to feel as though he or she is in a dream-like state. Ketamine is also associated with behavioral changes, including extreme confusion and the development of hallucinations. When abused, ketamine puts the user at risk of experiencing respiratory failure, an inability to function or understand his or her surroundings, or even fall into a coma. The central nervous system as a whole can be slowed so drastically as the result of ketamine use that serious damage can occur, including death from overdose. This risk is especially high when ketamine is being injected because it enters a person’s blood stream instantaneously . While it is encouraging to see how professionals in the field are expanding the treatment options available to people, the problem lies in the fact that such “quick fixes” are just that: quick fixes. In order to truly beat depression, and receive permanent results, people must get to the root of the problem. Inpatient treatment is often the best way in which people suffering from depression can receive true, lasting healing. Inpatient programs allow people to step away from the stresses of their everyday lives and enter an environment where their only responsibility is on becoming well. In this type of setting, individuals will work with a variety of counselors, therapists, or other mental health specialists who will help them uncover the reason that their depression exists and develop coping skills and other tools that will aid in their ability to return home with the confidence they need to know that they can overcome their symptoms of depression.